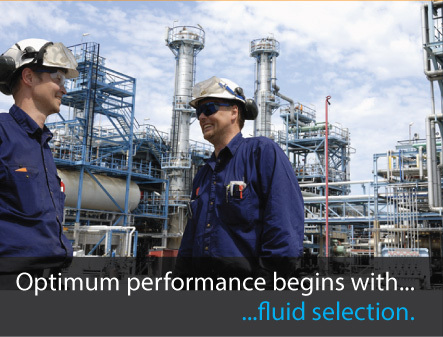 Fluid selection is key to ensure your heat transfer fluid system delivers long life, performs at it optimum efficiency and ensures a safe working environment. Join the webinar as we review important criteria when making fluid selection decisions for heat transfer fluid. Conrad Gamble is a Senior Associate at Eastman Chemical Company. He has extensive experience in heat transfer fluids and has done numerous engineering seminars on heat transfer fluid systems. He has worked in roles in manufacturing and engineering, and currently serves in technical service as Product Steward for Therminol® heat transfer fluids. Conrad holds a B.S. Ch. E. from the University of Alabama and is a licensed professional engineer. Learn more about Eastman and it's Therminol Product Line. Eastman is the world leader in synthetic high temperature heat transfer fluids, providing more than 50 years of excellence in technical support, customer service, performance and innovation. For more information on Therminol heat transfer fluids or to find your local contact, please visit www.therminol.com. © 2015 Eastman Chemical Company. Eastman brands referenced herein are trademarks of Eastman Chemical Company or one of its subsidiaries. The ® used on Eastman brands denotes registered trademark status in the U.S.; marks may also be registered internationally. If you'd like to stop receiving emails from Eastman Chemical Company, Click Here to Unsubscribe.